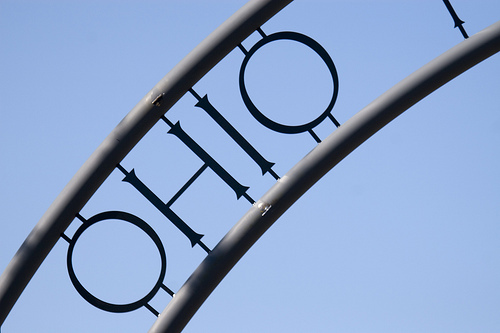 The Buckeye State has a population of approximately 11.5 million. It’s home to the Rock and Roll Hall of Fame, the hot dog, the first traffic light, and Akron, the rubber capital of the world. Ohio is the nation’s industrial capital, but did you know the state also has a booming trucking industry? Ohio’s trucking industry is the 4th largest in the nation, making Ohio a great place for those looking to get started in truck driving jobs. There are approximately 12,730 trucking companies in Ohio, and about one in fifteen Ohioans is employed in the trucking industry in some form. That’s over 272,000 people in the industry! The Ohio trucking industry brings in about $5.2 billion annually. On top of being one of the largest transportation hubs in the country, Ohio also has the 7th largest highway system in the world and the 4th largest in the country. Ohio has a highly developed network of both east-west and north-south roads and interstates which support the state’s third-largest quantity of truck traffic. As you can see, if you’re looking to break into the transportation industry, an Ohio truck driving job is one of the best places to get your start! We’re continually updating our listing of Ohio truck driving jobs here, so be sure to check it out frequently.